BioShock Infinite left me with some mixed feelings. On the one hand the general design of the world is absolutely stellar and the story, while either not making much sense or being in need of some serious explanation near the end, was engaging enough for me to keep playing to see what happened next. On the other hand the gameplay aspect continued to plummet compared to previous entries. It's perfectly functional, sure, but compared to some of its predecessors like Deus Ex, System Shock 2 or the other 2 BioShock games, there sadly isn't really a lot of meat to it. In terms of story however there's a lot of possible conversations and perspectives to be analyzed. The nature of storytelling and sequels, the continued deconstruction of political ideals and extremism, even bloody quantum physics. 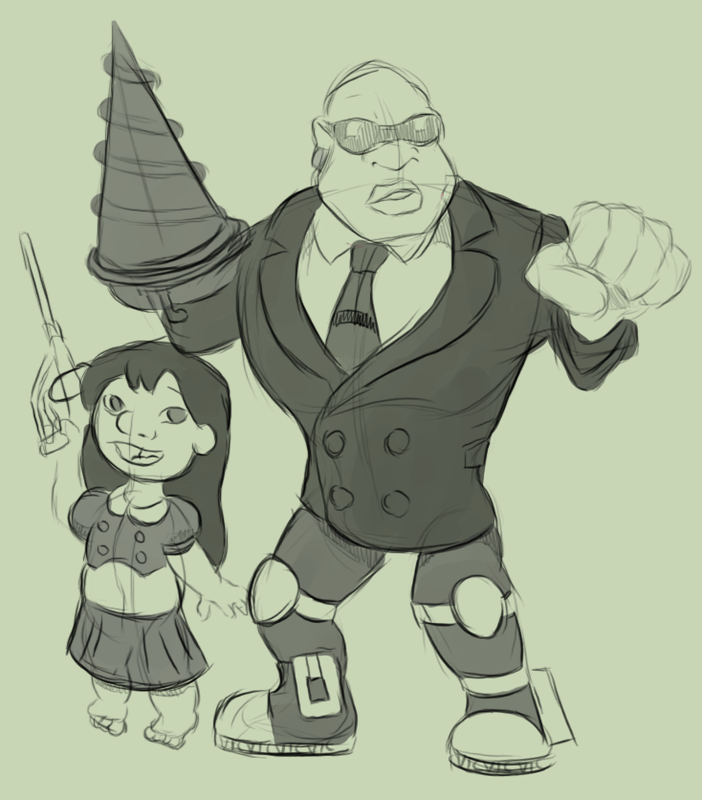 For the moment I will be focusing on the game's wireframe as a 'Maiden in the Tower' story (with inspiration taken from the Disney movies) and Booker and Elizabeth as candidates for main characters from a story aspect. The following article was written while I have played BioShock 1, BioShock 2 and BioShock Infinite, however I have yet to check out the DLC for BioShock Infinite. Serious spoilers have been kept to a minimum. The first BioShock introduced us to Andrew Ryan, the founder/bloody king of Rapture. He was certainly an interesting fellow and produced one hell of a mind twist when he revealed that the main (playable) character Jack was actually under some serious mind control courtesy of Frank Fontaine. It provided an effective punch to the player because, at the time, we had no reason to doubt the instructions given to us and were just following wherever the game's story would take us. Only later did we realize how, like the mind control, the parameters of the game chained us and only allowed us a very limited amount of freedom. It was a pretty nice deconstruction of player agency. This also means however that despite the mental programming of the playable character eventually wearing off in the story, we as players never gain true freedom. We are still bound to the rules implemented by the developers. Like subtly suggested at the start of Spec Ops: The Line (2012), the only winning move there is to stop playing the game (although BioShock, unlike Spec Ops: The Line, at least allows for a happy ending). However I hope I'm not the only person who thought the story after the "a man chooses, a slave obeys" section was considerably less interesting or memorable. For having such a spectacular mind-bendingly end to the first half, it quickly evolves into a fairly standard "go get the bad guy" after meeting Andrew Ryan. BioShock Infinite handled it better by sprinkling the mind-bends all over the game. Although, like in a Christopher Nolan movie (1), a serious case could probably be made for the writers themselves losing the threads in between all the plot twists. It was also pretty great how, unlike Rapture, we got to see Columbia before the setting devolved into chaos. Okay, if there's one thing anyone who knows me should know about me, it's that I'm a pretty big Disney fan, particularly of Disney Princess movies. 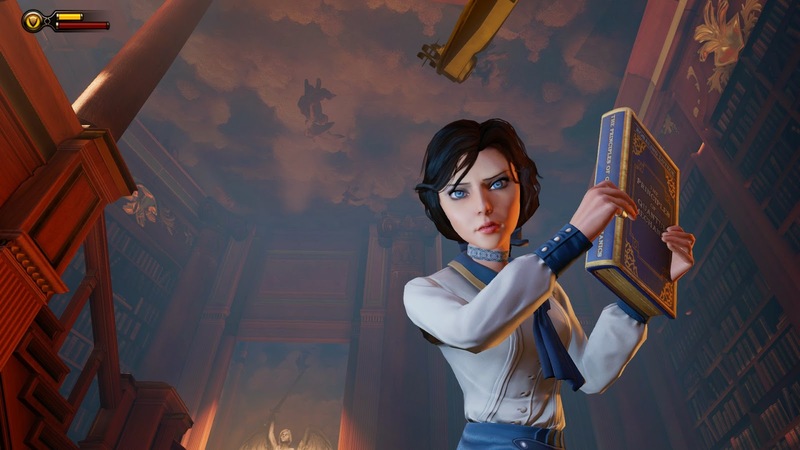 As such I was pretty pleasantly surprised that BioShock Infinite is essentially Rapunzel retold in a mature (as in violent plus complex subject matter) setting. (One article on GameSpy made the same observation along with a nonsense difference that Elizabeth is no old-school damsel in distress, even though the entirety of Tangled consists of Rapunzel getting Flynn Rider out of trouble, even while he's trying to help her. Watch those movies before throwing criticisms at them and stop devaluing those badass princesses, damnit). Both stories have a girl taken from her parent(s), who gets locked up in a tower, has a special gift and wants the guy who shows up in her tower to take her to see something she always dreamed of seeing (the floating lights/Paris). Elizabeth even shows her inspiration in some of the details such as her (initial) innocence, interest in art, knocking out her savior and dancing to the first street performers she encounters. Heck, at one point Elizabeth even bursts into song. I feel there's also a similarity in both having a body part cut off (although in Rapunzel's case it's just a lock of her hair) which are significant story-wise but that might be stretching it. A bit too similar to be a coincidence if you ask me. A major theme for Elizabeth is loss of innocence. That's also a theme for Rapunzel except, this being a much less kid-friendly environment, Elizabeth's loss of innocence is also a lot more brutal. Rapunzel just needs to figure out how the outside world works and learn to navigate it in order to grow out of her captor's shadow (and realize that she's in it in the first place) so she can find her place in that outside world (2). Her loss of innocence is just her growing up, which the songs in the movie all serve to highlight. Elizabeth however goes through a much more horrible ordeal than rapidly having to grow up. First she needs to adjust to her rescuer slaughtering the people attempting to capture her (her clothing becoming more messed up over time nicely symbolizing her shattering innocence), and then to having committed murder herself (her breaking down resulting in her cutting her hair and putting on a new dress). In the end she has to carry the responsibility of having reality-bending powers. All in all the game answers the question "what if a Disney Princess ends up in a legitimately violent setting" and the answer isn't all that pleasant to watch. 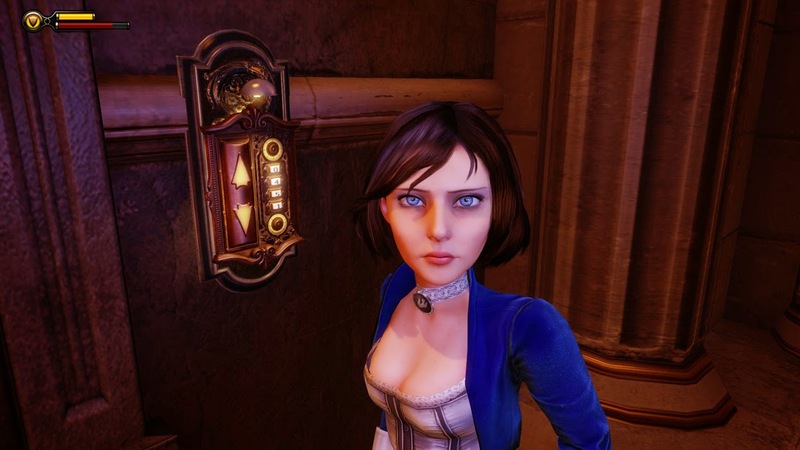 I guess it is pretty disappointing however how the player doesn't really have any effect on how Elizabeth turns out at the end of the game, unlike what they(3) did with Eleanor Lamb in BioShock 2 (2010). The story of that game is one where Delta's actions ultimately shape Eleanor's own morality and as such influences the way the story ends. One could argue therefore that although we play as Delta (who we learn very little about), the story is really about Eleanor and her character development. Elizabeth's character development is instead static to what the writers intended (The game does present us with several choices that ultimately have no effect). I have seen some debates on Twitter (too late after the fact to dig those up, I fear) about whether Booker DeWitt or Elizabeth is the main character of the story. Personally I think the answer to that is also another similarity between the game and Disney Princess movies in that they are simply partners. We don't just see Elizabeth's story unfold from an unimportant camera-character, Booker himself is a very important element in the story. We learn a great deal about them both and their stories are very hard to separate. Booker and Elizabeth are not in a hero-damsel in distress relationship either, they are helping each other out in an equal relationship (even if Booker is hiding his true intentions initially, which he also has in common with Flynn Rider). Heck, Elizabeth is very vocal about her "rescue" being on her terms and turns on Booker whenever she does suspect he has ulterior motives. "Don't get too comfortable with my company, Mr. DeWitt. You are a means to an end, no more." For Metal Gear Solid 2: Sons of Liberty (2001), Hideo Kojima opted to distance the player from Solid Snake by putting us in Raiden's shoes/skullsuit instead. 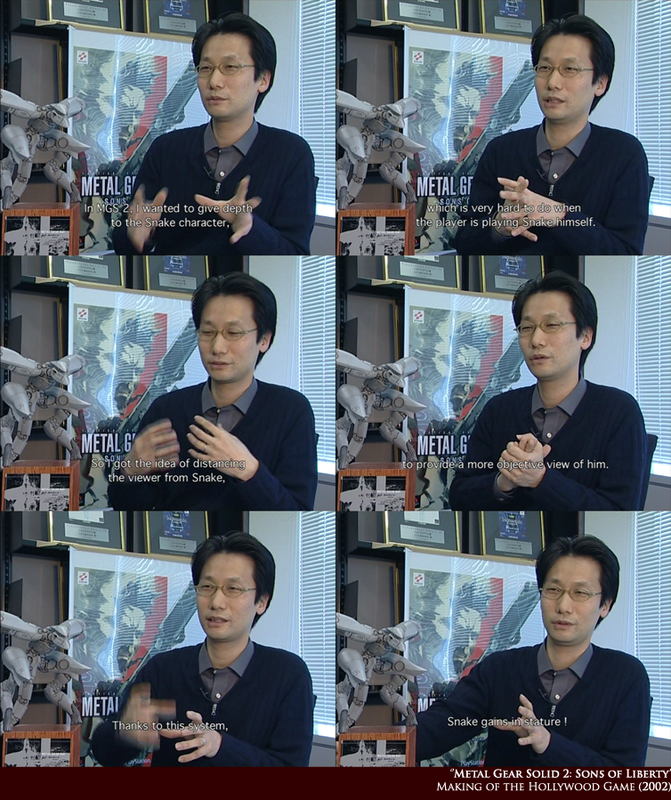 He explained in the accompanying documentary that this was done specifically to have Snake gain in stature, which he felt he couldn't accomplish by having him as the playable character again (a subject I intend to bring up again and expand upon in the future but since I haven't done so yet, I'll do it quickly here). Since Raiden does have his own story within Metal Gear Solid 2 and the rest of the series, let me elucidate with some more clear-cut examples. Bayonetta (2010) is undoubtedly the main character and playable protagonist in her own series (ignoring unlockable characters obviously). Everything that happens in the game is meant to drive her own story and to make the player learn more about her or her backstory. Because the game is played from a third-person perspective rather than a first-person one, we also get feedback on how she reacts to the situations in the game (if she doesn't vocally do so anyway). The third-person perspective actually gets us closer to the character. Contrast that with a game like Betrayer (2014) where we learn absolutely nothing about the character whose eyes we're looking through, not even what he or she looks like. Even the story has mostly already concluded by the time you're there and you are just there to figure out what terrible things happened to the settlements. 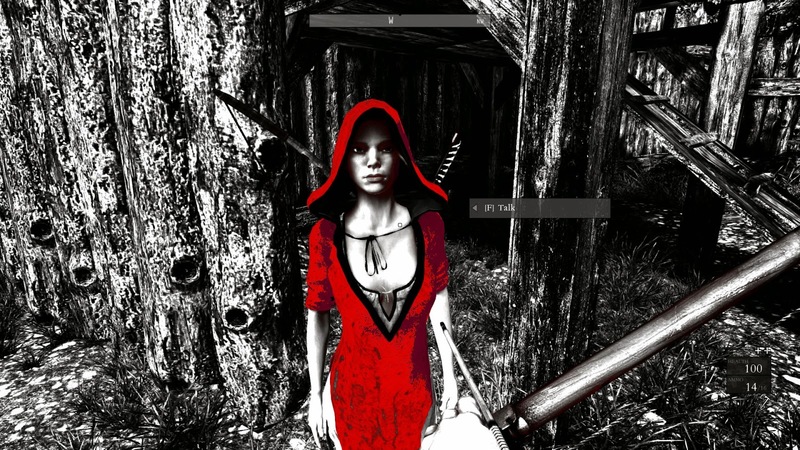 The Maiden in Red has a lot more weight as main character than the playable protagonist does despite the fact that we're playing the game through his/her eyes. The first person perspective actually serves to obscure him/her further. Thus there is a paradox where close proximity to your player character might actually hide them as a character. 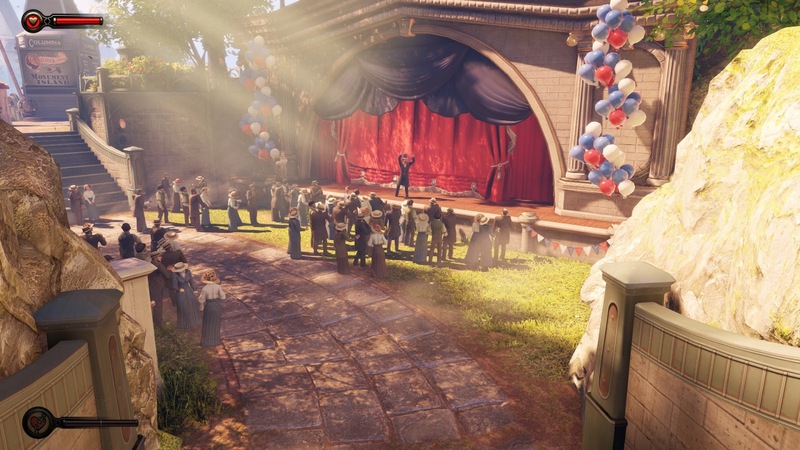 What BioShock Infinite does is give us a story where we have two equally important characters, except the approach to which their stories are told is different. Unlike Betrayer's protagonist hidden behind the first person perspective, we do get to hear Booker talking to both himself and other characters and we know what he looks like. His and Elizabeth's stories are also unquestionably intertwined and can't be told separately. Meanwhile we also get to know Elizabeth by simply getting to know her and having her as an active force in the adventure. Given how much effort the developers put into making Elizabeth a believable person (on both a technical and story level) rather than just a character, I feel minimizing her part would be insulting. 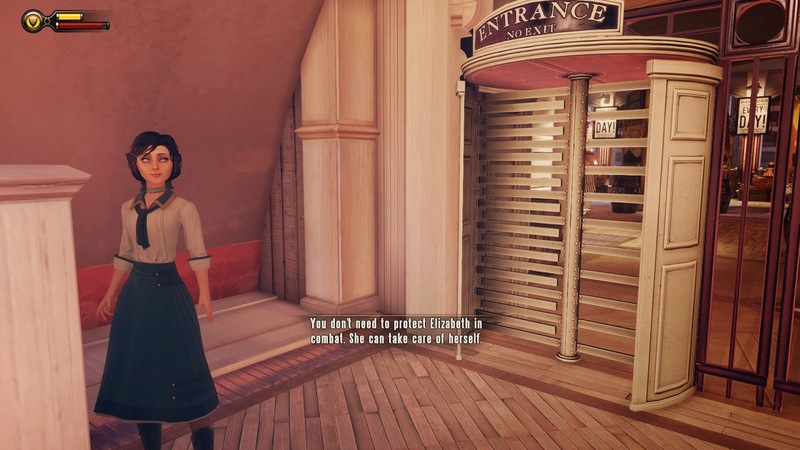 Because Booker himself is hidden behind the first-person perspective however, he might still feel to us more like a stranger than Elizabeth (For me there's a bit of a disconnect anyway as I don't necessarily identify with the character I'm playing as). As such it is completely understandable that we identify with Elizabeth's struggle more than we do with Booker's (although it gets hard not to feel sorry for him since he gets it pretty brutal too). Without giving away too much plot details, I suppose Booker's weight also gets amplified in that we also get to see alternate interpretations of his character and the potential for what he might be if he had made alternate life choices. For Elizabeth we only get to see a glimpse for what she might become if Booker fails. I suppose you could say it's an origin story for Elizabeth and a redemption story for Booker. It's a complex issue, but I don't think it's possible to minimize either Booker or Elizabeth's contribution to the story. I would say they both jointly deserve the title of main character. Their character development and the effect they have on each other and the story are woven together too closely to have it any other way. I liked BioShock Infinite, although creating interesting gameplay felt like one of the last issues on the developers minds compared to world building. Elizabeth is probably the most fleshed out non-player character I have ever seen. As such it's not surprising that she's generally loved even by people who dislike the rest of the game. A Fahrenheit 451 reference right after a library. I see what you did there, game. (1) Since I'm probably going to get called on that: a careful viewing of The Dark Knight reveals that the Joker's plan basically required him to have near-omniscience, especially for the events leading up to the creation of Two-Face. For The Dark Knight Rises, Bane and the League of Shadows didn't show any indication they were planning to leave the city before the bomb was about the explode even before Batman returned with mere hours to spare, meaning they were apparently just going to blow themselves up for no reason while Bruce Wayne survived with his guilt in the prison (although I guess that would add to the theme of Batman Begins where he has nobody to take revenge on). (2) The Art of Tangled reveals that a major problem for Rapunzel's design was figuring out her motivation for wanting to get out of the tower as she had yet to realize there was something missing in her life. (3) Yes, I am aware BioShock 2 was made by a different team from BioShock 1 & Infinite. "Look Mr. Bubbles, it's an angel!" LOL. I'm catching up with your posts since late into the GG stuff, and I'm glad you put the Lilo and Stitch thing in there.